You guys know I’m always on the lookout for a new favorite deodorant because for some strange reason, the ones I love keep getting discontinued. I love browsing through the personal care aisles at different local co-operatives because you never know what you might find. Honestly, I feel like each co-op has its own hidden gems (stuff you can only find at a certain co-op). When I came across this Roll-On Deodorant in the scent Isla Vanilla from the French Brand Originel & Essential (also known as OE) for KD /780 at the Dahia Abdulla Al-Salem Co-Op, I decided to pick one up, hoping it would be my new fave. Its alcohol-free, aluminum-free formula is enriched with plum oil and BIO wheat extract; Ingredients known for their nourishing properties and preserve the skin from irritations. Underarms are soft and beautiful. Once again, I got suckered in by the packaging. There’s something I find quite cute about rounded caps. The cheerful yellow color-scheme didn’t hurt either. The fact that this was somewhat safer than regular deo since it had a sticker on the cap saying 0% Aluminium, Chlorohydrate, Parabens* didn’t really factor into my decision. In this day and age, everything including air and water can supposedly cause cancer. Literally everyone is susceptible to cancer. You can eat your veggies, and minimize your skin’s exposure to the sun, and exercise every single day of your life, and still end up with some form of cancer. So, live your life (yolo lawl)! I believe the probability of getting cancer is always there, regardless. Certain bad habits like smoking for example, greatly increases that probability. However, I believe using deodorant/anti-perspirant is relatively harmless, especially in comparison to the alternative which is stinking up the place with smelly pits (unless you use deodorant/antiperspirant please stay faaar far away from me). Anyways, back to this particular deodorant, it did the job just fine, especially during the cooler weather (which is when I purchased it). Also, it’s not like I lead a particularly strenuous life (I loathe sweating and try to avoid it whenever possible). As such, I enjoyed using the scent Isla Vanilla which was a very warm vanilla scent that I found absolutely delightful! I’d use Bath and Body Works Vanilla Bean Noel Shower Gel and Lush Let The Good Times Roll Scrub Face & Body Cleanser in-shower, and use OE Isla Vanilla Deodorant once I got out of the shower, slather on some Bath and Body Works Vanilla Bean Noel Body Lotion finishing off with a spritz of Boots Vanilla Delight Body Mist. You’d think that would be overkill but it wasn’t because some of the scents were quite warm so they just meshed well together. In fact, to me, all those scents layered together were damn near euphoric! 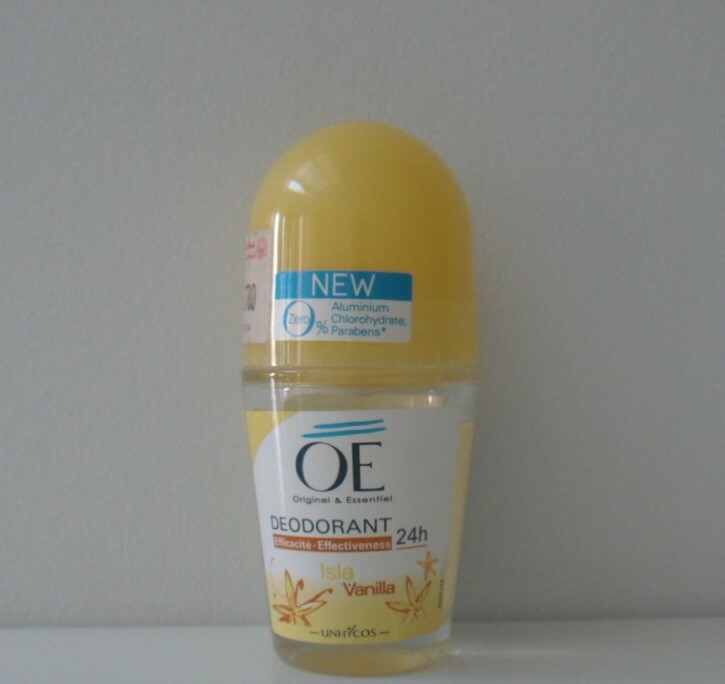 Sadly, once the weather got hotter (I started to actually sweat) OE Isla Vanilla Deodorant stopped working for me. It was effectively like slathering on slightly scented water… which was fine during February when I wasn’t sweating at all but not so much during April. Needless to say I will not be repurchasing this stuff again.